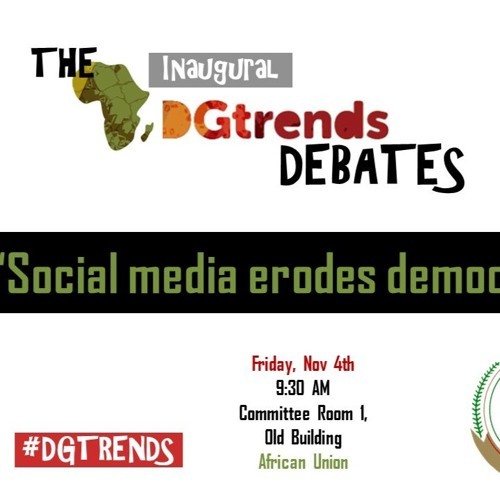 The inaugural DG Trends Debates took as its motion; Social Media Erodes Democracy and was held in Addis Ababa at the African Union Headquarters. With a team of academics, lawyers, media practitioners and social media enthusiasts, the two teams argued on both ends of the spectrum and in between. The DG Trends Debates are envisioned to be a quarterly convening to debate, discuss and deliberate on timely topics pertinent to the work of DPA and AGA. The debates will provide an open forum for a frank, rigorous and intellectual exchange of viewpoints. The DG Trends Debates are meant to provide a forum by which views, opinions and expertise can be exchanged freely to facilitate an intellectual exchange and elaboration of topics that require some critical thinking and deeper analysis.